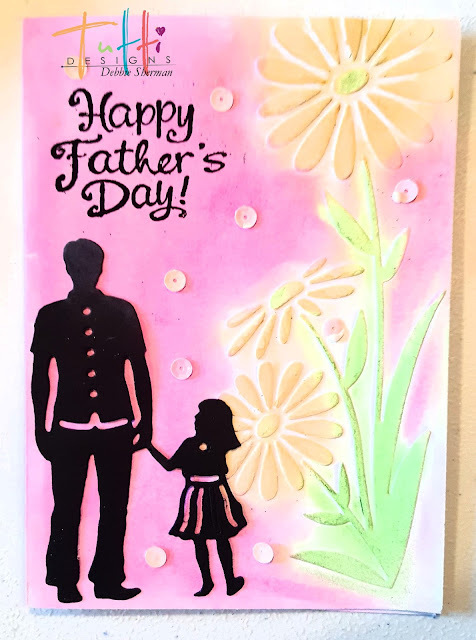 I embossed my card base with an embossing folder and stamped the sentiment and embossed it with black embossing powder.I colored the background with Gelatos. 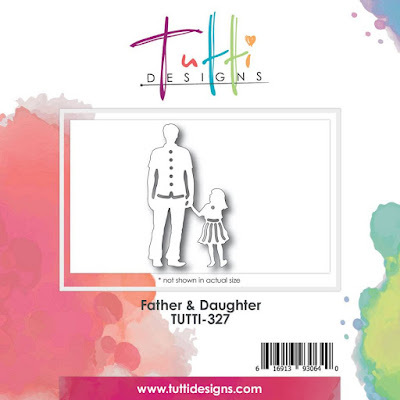 I die cut the Father and Daughter die cut in black card stock so it would standout. I finished it off by adding some sequins for embellishments. So sweet ... thanks Debbie! 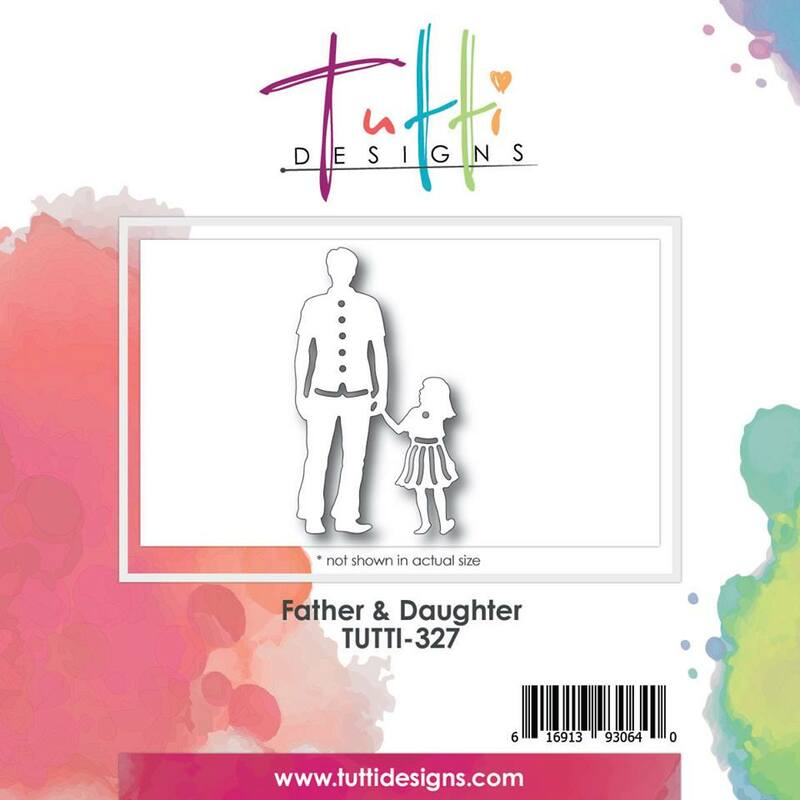 This is the sweetest! 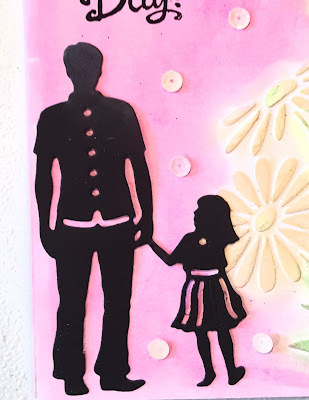 As a daughter I have such fond memories of me and my Dad taking walks and holding hands--fantastic silhouette die! I love your embossed flowers and pretty colored background too!